Isn't it nice to have decor you can just simply enjoy? We think so, too! 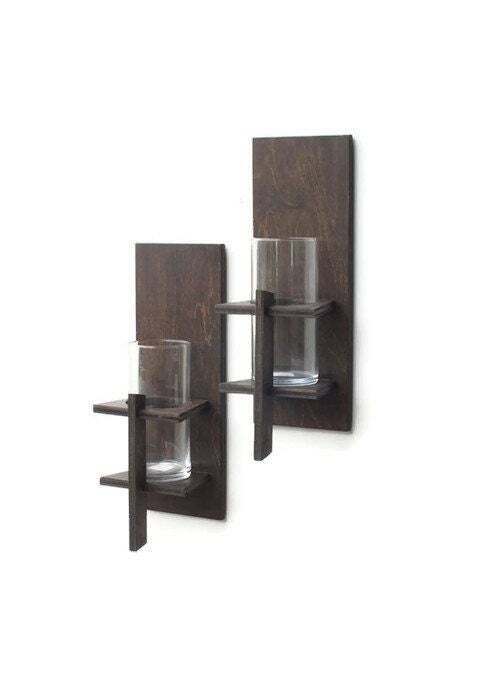 Add style and ambiance to your indoor and outdoor living spaces with this pair of wall mounted candle sconces. 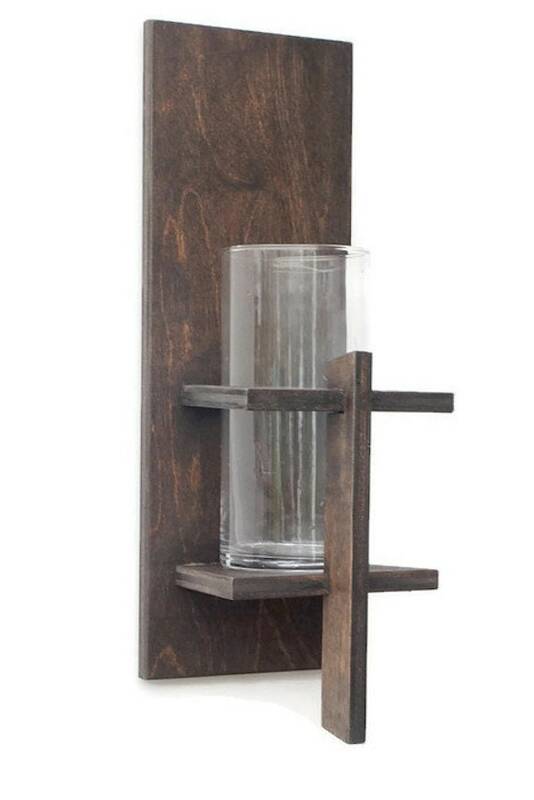 Made of stained wood featuring a glass cylinder candle holder, these rustic decor pieces work well in any interior space as well as on your covered patio. They are simple to install using the two keyhole brackets mounted on the back. (Screws not included.) Sit back, relax, and enjoy the aroma and mesmerizing flicker of your favorite candle! *Please do not leave lit candles unattended. *Candle sconces come as a pair. Enter quantity "1" when purchasing. 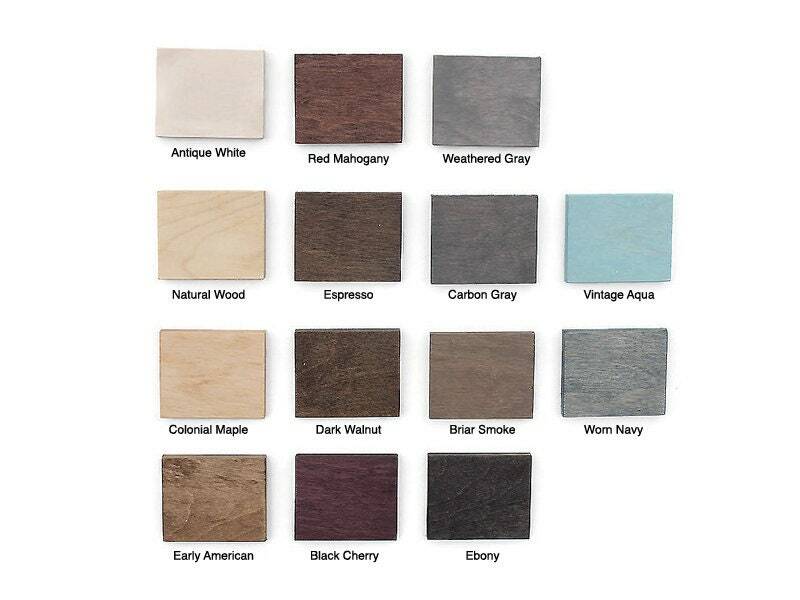 • Color: Please see drop down box and color swatch image for stain options. (Espresso stain pictured here.) Sconces are finished with a matte clear coat. • Each glass cylinder candle holder measures 7" x 3". 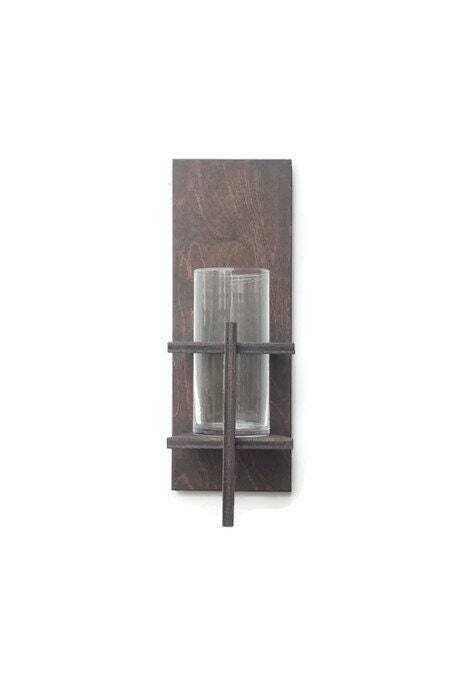 • Each wall sconce measures 15-1/4"Tall x 5-1/2" Wide x 6" Deep. • Materials may weather over time if exposed to outdoor elements such as sunlight, hot/cold temperatures, rain, wind or snow. 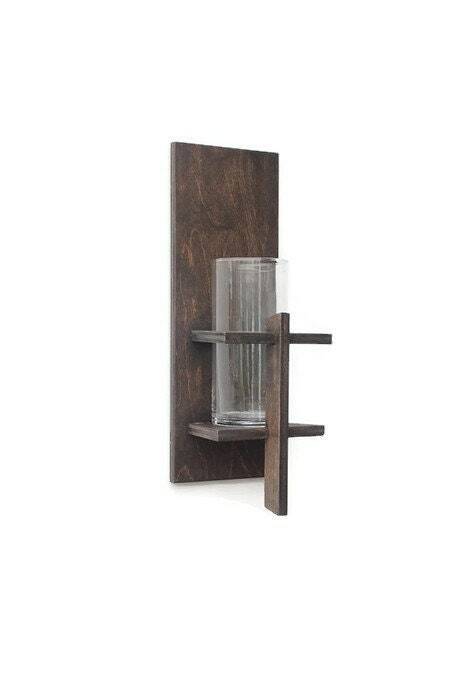 • Your wall candle sconces ship via USPS in 5-7 business days following receipt of payment. • Custom orders ship 7-10 business days after receipt of payment, and are final sale.